"Love is in us. It is deeply embedded in the brain. Our challenge is to understand each other." The above words came from an introductory video of this blog post. Click here to watch. I can testify that they are true words indeed after experiencing a long lasting 30 year marriage with my first love who sadly died of cancer by age 50. She married me when she was 20 and that was the beginning of my familylane stories. About 3 years after her passing, I find myself in love again and shared the joy with the world the same way I have shared other valuable truths to the world in this spiritual blog. Click here to read. So how did the new relationship begin? We met on social media about mid year in 2015. Guess it is not surprising since this is the year when I added another feather in my cap for my life's achievement recorded in the media here. 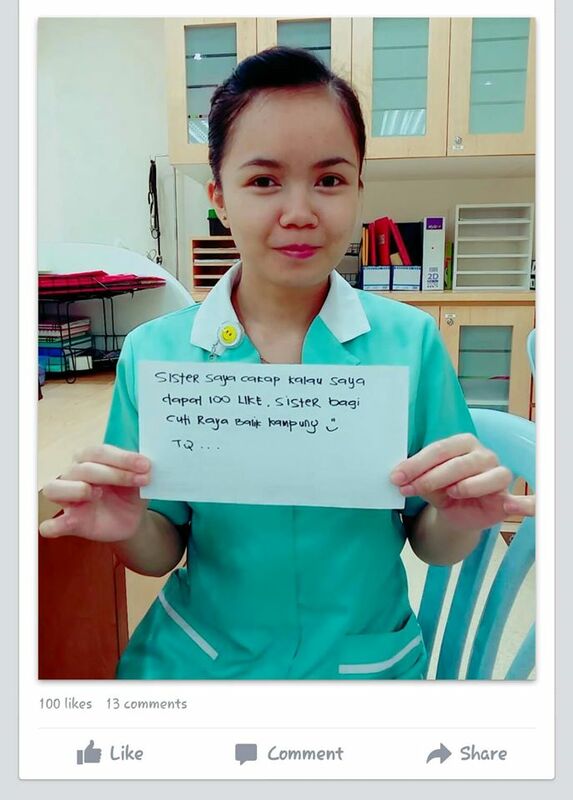 Found out in facebook that she is known as Staff Nurse Jannah, meaning 'Heavenly'. 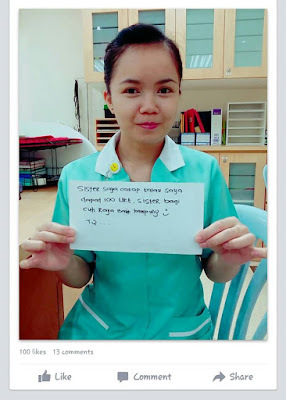 She is attached to a local hospital in Kuala Lumpur, coincidentally where two of my daughters are born and where my father had passed away. She is of a mixed ancestry known as Sino-Kadazan from Sabah. Her nick name is 'Didi' and I told her she can call me 'Boynie' that is still being used fondly by childhood friends of mine and my siblings today including their spouses! There is a popular Hakka song, the dialect of my ancestry, about how cute Sino-Kadazans are that can be watched and listened to on YouTube that has English lyrics. What attracted me to this girl? It is noteworthy to mention that when I mention to her that she is 'petite', she would insist she is not! Well she is really about the same height and size as my first love, maybe a little taller is all, but maybe I simply like cute petite sized women. The YouTube video mentioned above probably best expresses how I was overwhelmed! ... and quite fit or athletic herself too! ... and enjoy the same simple meals wherever we go on a date. How can you tell if you are truly in love with a girl? When you start following her to events to take lots of photos and create a video for her? How can you tell her that you love her? By singing to her a classic love song? Love Malaysian style - Gitaran Jiwa from Dad the KL City Kid on Vimeo. How can you tell that she loves you too and that it's timely to propose to her? ... and gives you a card filled with love expressions? She came as a surprise with a 'love at first sight' experience just like my first love. I proposed to her within a short time period just as I did with my first love and almost in the same unorthodox way without a real proposal or a ring ! 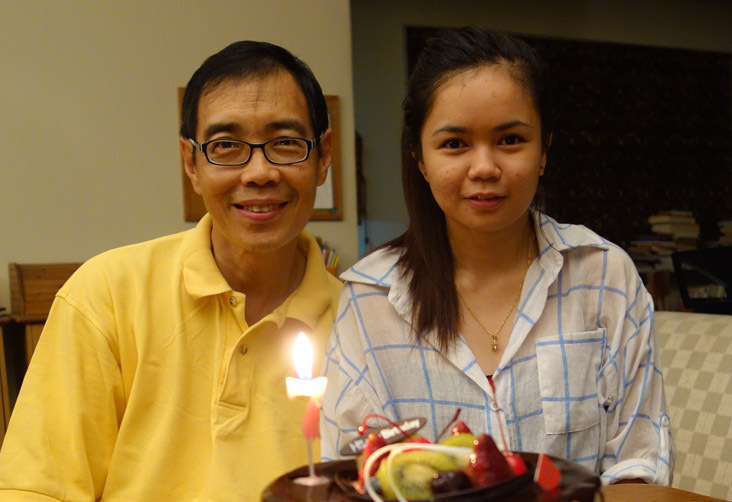 We may likely get married by this year end, if there are no objections when we publicly announce our intention to marry as required in a civil marriage by law. She would be 24 years of age, a little older than the bride of my first marriage with the difference that I would have a larger chronological time gap of 33 years compared to 4 years as when I was first married. Notice that I specifically defined the time measurement as chronological as opposed to other terms of measurement such as psychological, physiological or even spiritual! Being a spiritual man myself, I adopt the philosophy in my religion that time is measured or is regarded important only by Man on earth while God's time standard is infinite hence with values different from Man. So much for my personal beliefs which is obvious if one were to scan through my volumes of personal journals to date to come across a post such as this one.